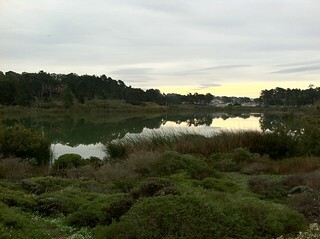 From my morning run around Lake Merced. 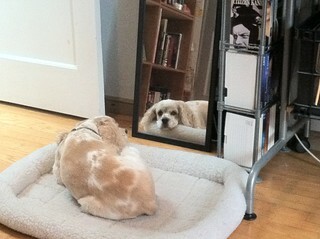 “Mirror Mirror” with my Daisy. I thought both photos would be nice additions to the Weekly Photo Challenge: Reflections. These are lovely shots… and your dog looks content curled up on that pillow bed… Nice shots for the challenge.